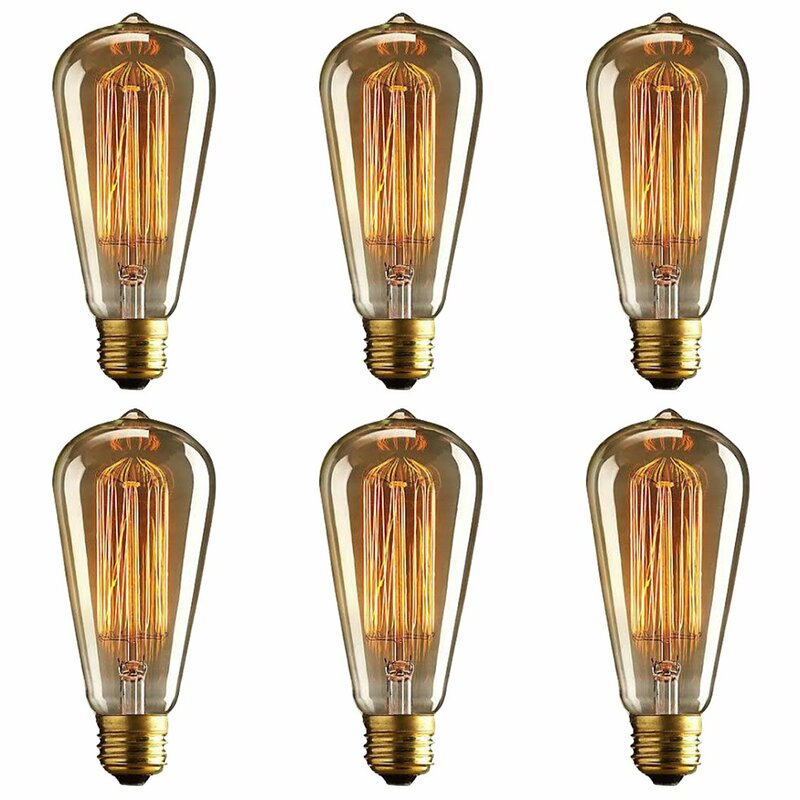 Home › Energy-Efficient LED Lighting › Vintage Edison Bulb (Pack Of 6) - Squirrel Cage Filament Lamp - Dimmable E26 ..
Vintage Edison Bulb (Pack Of 6) - Squirrel Cage Filament Lamp - Dimmable E26 .. These charming bulbs give a beautiful warm glow perfect for creating anelegant, stylish ambiance. The bulbs are E26/E27 based 260 lumens, meaningthey are about one third as bright as a regular 60 Watt bulb. This means youcan leave them uncovered and comfortably enjoy their decorative design,without being too bright to look at. However, please consider before usingthem if you require higher light output. Satisfaction guarantee - if you areunsatisfied with product for any reason, please contact us for a full refund.